IDW Publishing and Marvel are proud to announce that they will expand their relationship once again… this time in a galaxy far, far away! Ever since Star Wars took the world by storm in 1977, comic books have been an integral part of building its massive mythology. Now IDW Publishing is bringing Marvel’s wildly successful run of Star Wars comics to two unique formats that IDW pioneered. “Marvel has been a terrific and loyal partner, and Star Wars represents an incredible opportunity to further expand our relationship,” said IDW President and COOGreg Goldstein. 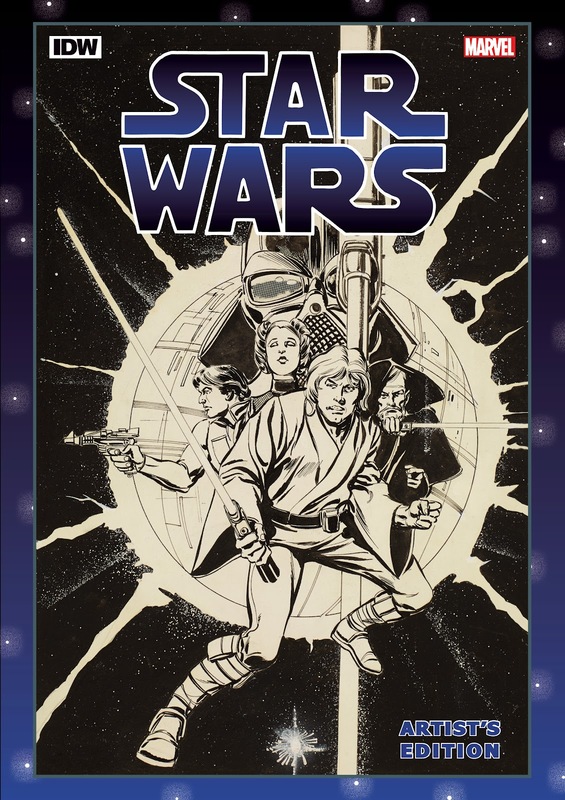 IDW Publishing’s award-winning Artist’s Edition line presents complete stories with each page scanned and printed directly from the actual original comic book art at full size. While appearing to be in black & white, each page has been scanned in color to mimic as closely as possible the experience of viewing the actual original art—affording readers the opportunity to see blue pencils in the art, editorial notes, art corrections, etc. This amazing and unique line has previously featured some of Marvel’s most beloved characters and creators, like Walter Simonson’s The Mighty Thor, John Romita’s The Amazing Spider-Man, and David Mazzucchelli’s Daredevil Born Again. In late fall of 2015, IDW and Marvel will team up once again to add Marvel’s Star Wars creators to this already illustrious list. Star Wars is also coming to the Micro Collectors Fun Pack line; a format pioneered by IDW that has fast become a fan-favorite. Micro Collector Fun Packs consist of a full-length, pocket-sized comic-book story, along with exclusive inserts including posters, standees, or stickers. Micro Collector Fun Packs continue to reach new audiences with great content and are available at both local comic shops and mass retail locations like Target and Toys “R” Us. Each Star Wars Classic Micro Collector Fun Pack release will include a collectible classic Star Warscomic for fans to collect. The first set of Star Wars Classic Micro Collector Fun Packs, which have been designed to be enjoyed by Jedi of all ages, are planned for a fall 2015 release. for more information about IDW’s Star Wars releases and more.